First Nations people and Chinese immigrants have enjoyed a symbiotic relationship since before B.C. joined Confederation. Now, archeologists are chronicling this chapter of history by documenting sites where the two communities lived together. A train’s whistle echoes in an unfinished, abandoned railway tunnel near the banks of the Fraser River. In the quiet after the freight cars rattle past the entrance, the sound of dripping water in the dark cavern is amplified. 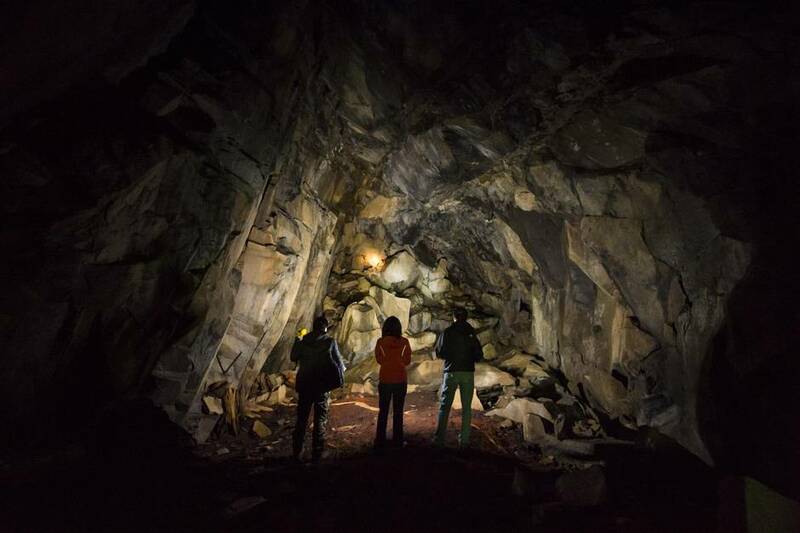 Hundreds of Chinese railway workers died building the Canadian Pacific Railway through this treacherous terrain and it’s easy to grasp, in this haunting space, the perils of blasting through the granite with notoriously unstable dynamite. The CPR archives yield no answers about why the workers abandoned this tunnel in favour of a route through the surrounding marshes, but the stories of the men who toiled on the railway in this region in the 1880s are preserved by local First Nations. That the Sto:lo remember the Chinese dead is a testament to bonds of friendship that are older than the province of British Columbia. 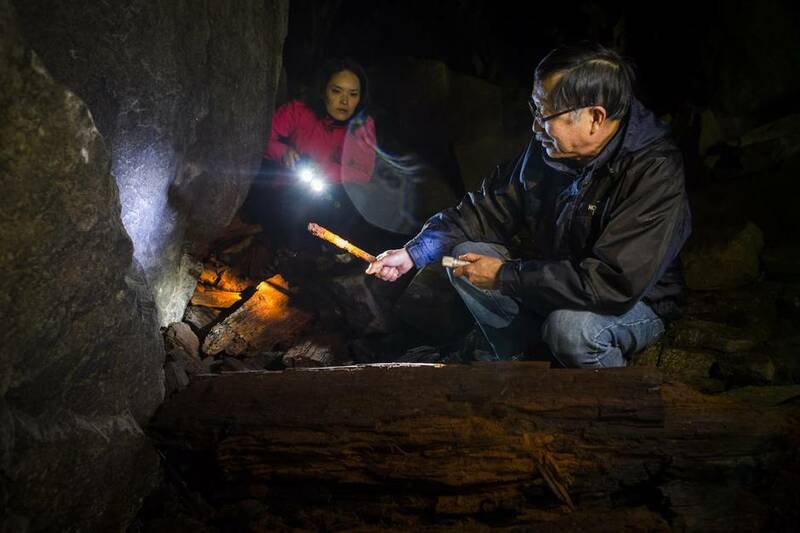 Bill Chu recently visited the tunnel near Hope, clambering over rocks and thick timber support beams that have fallen after more than a century of neglect, his way blocked about 100 metres in by a collapsed heap of boulders. The Sto:lo have described to him events of catastrophic explosions, recollections of Chinese bodies plowed under in mass graves. The story of this tunnel, however, is lost. Before the railway, before British Columbia joined Confederation, many Chinese were already here. They were farming, mining and logging. They arrived by the hundreds starting in 1858 at the start of the gold rush, and Henry Yu, a professor of history at the University of B.C., says some arrived almost 200 years ago on what is now Vancouver Island. To succeed and survive, the Chinese forged relationships with the province’s First Nations who also faced extreme discrimination by the white colonists. “The Chinese dealt in reciprocal ways with First Nations. They didn’t take, they asked. They brought gifts, they shared foods. They did relationship-building,” said Prof. Yu, who is now helping the provincial government on a project that will see a string of Chinese historic sites in the province officially preserved and recognized. An estimated 15,000 Chinese men worked on the railway in B.C. in the 1880s. They were paid half the wages of the white workers, got no medical care and were typically assigned the most dangerous jobs. Once the work was complete, the European settlers sought to drive the Chinese workers out of the province with a race-based Head Tax. The Chinese were regarded as the temporary foreign workers of their time – with the last spike in place, they were no longer wanted here. “There is a long history that has been distorted, deliberately suppressed, or erased,” said Prof. Yu. The most concrete remnants of that history are found on the banks of the Fraser River. There, the Chinese built elaborate gold-mining operations among the First Nations communities. Sometimes, the men stayed and married into those communities. The Sto:lo people have their place names that mark this shared history. “Sxwóxwiymelh” is a place where a large number of Chinese railway workers died of the flu. They call the rolling hills opposite the mouth of the Coquihalla River “Lexwpopeleqwith’aim” – it means “always screech owls” but the word took on a dual meaning as a reference to the ghosts of Chinese workers who are said to haunt the area where many were killed during a blasting accident. Mr. Chu is an accidental, amateur historian of British Columbia, drawn into the stories of the early Chinese railway workers and gold miners through his activism on behalf of Canada’s First Nations. He came to Canada from Hong Kong in 1974. As a newcomer, he knew nothing about the role of the Chinese in building this province. “We are not all ‘new Canadians’ – we are as old as this province,” Mr. Chu said. Travelling up and down the Fraser Canyon, Mr. Chu has gathered stories of the Chinese railway workers kept by Sto:lo elders and others. He has visited many of the gold-mining operations that are still evident. “We are learning the history of this country from the mouths of its indigenous people,” he noted. 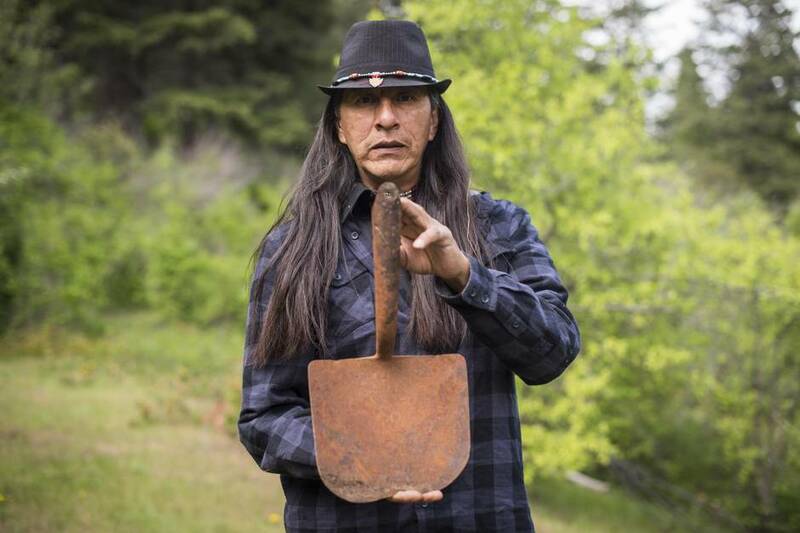 Sonny McHalsie is a Sto:Lo historian who has worked with archeologists seeking the unmarked Chinese graves that his elders have recorded. “A lot of Sto:lo families here have Chinese ancestry,” he said. “My dad told me after the gold rush, the Chinese remained. 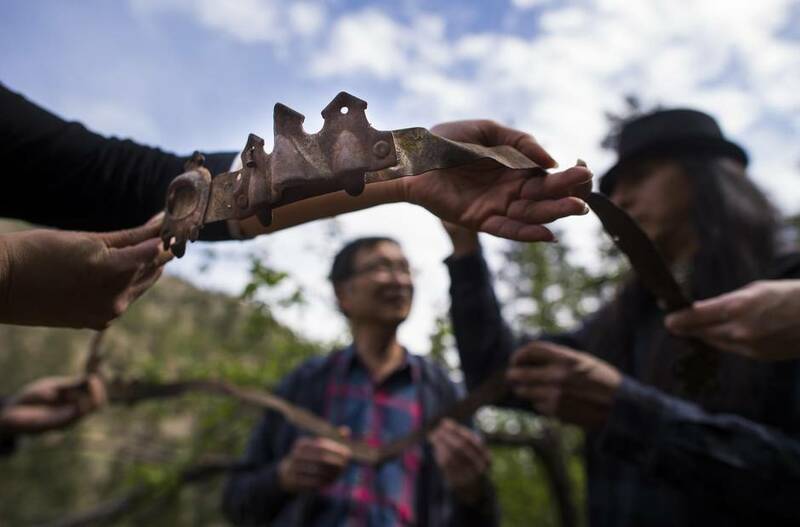 They extracted gold off the river.” The First Nations drove off white gold miners in what is known as the Fraser Canyon War, but the Chinese, based on their respectful relationship, carried on mining. The remnants of their organized and skilled labour are still visible. There are deep troughs, tidy hills of rocks sorted by size, lengthy sluices that diverted rivers to separate the gold, and stone-walled buildings. Geographer Michael Kennedy researched a 130-kilometre-long stretch in the upper canyons of the Fraser River between Lytton and Big Bar to determine the extent of the placer mining, mostly by Chinese and First Nations workers. “Taken together, they are perhaps the largest surviving ‘artifact’ of early-modern British Columbia,” he wrote in his account of his studies. The settlements of the Nlaka’pamux people and the Chinese miners are also intermingled. The architecture of their traditional pit houses seem to be mimicked in some of the Chinese settlements. Bill Paul is a member of the Lytton First Nation – the largest of the Nlaka’pamux communities. On a warm spring day, he led a group to a former Chinese camp where he has found Chinese coins dating back to the 1600s. However, the fragments of daily life – metal tools, a tin of lard, the metal band of a steamer trunk – suggest a community of hundreds of workers toiled here in the 1860s or 1870s. Mr. Paul’s group included Mr. Chu and Jenny Kwan, the NDP MLA for Vancouver-Mount Pleasant and federal NDP candidate for Vancouver East. Mr. Paul led them down a steep trail, through a pine forest dotted with wild cherry trees and Saskatoon berry bushes, to the banks of the Fraser. There, he pointed out waterways, the outlines of stone buildings and, possibly, graves. Ms. Kwan believes sites like this deserve an archeological assessment and preservation. Earlier this year, the provincial government invited the public to nominate sites of historic importance to the province’s Chinese community. About 80 sites have been nominated but only ten will be chosen. The list of nominated sites will be released on May 15 – one year after the province formally apologized to Chinese Canadians for historic wrongs. Teresa Wat, the minister responsible for multiculturalism, joined a similar tour with Mr. Chu several years ago when she was a journalist. Like Mr. Chu, the long-standing relationship between the Chinese and First Nations was not part of her history lessons when she came to Canada in the 1980s. “It was an eye-opener for me,” she said. Ms. Wat’s effort to recognize these historic sites is part of a broader effort by her government to make amends for the B.C. Legislature’s role in discriminating against the Chinese. 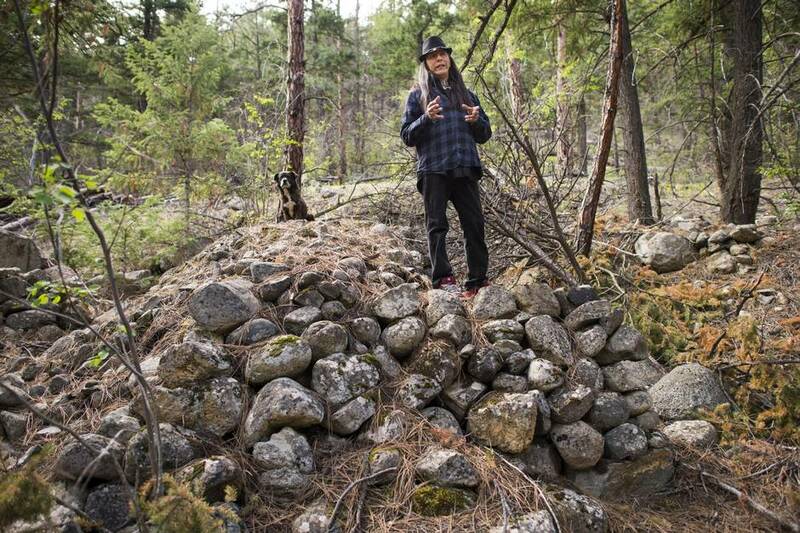 At least three of the proposed sites have been nominated by First Nations communities, giving the government an opportunity to honour this early example of relationship-building – one that requires no apologies.